Anti scratch effect – Unlike sealants or car waxes our ceramic coatings help to resist light swirl marks. Durable Protection - Whereas traditional vehicle paint protection, such as waxes, wear off over time when exposed to the weather, acidic components of the atmosphere and bird droppings, ceramic coatings will outlast these. Superior gloss levels - Compared to car wax our ceramic coatings retain gloss over a much longer period of time. Super hydrophobic effect - Fantastic water repelling, beading & sheeting. Dirt deflecting – paintwork stays cleaner for longer compared to car waxes. UV protection - prevents paintwork from fading. Easy upkeep & maintenance - extremely durable and a stunning crystal clear finish. No more polishing & waxing! Our New Car Ceramic Coating treatments will typically take around 2 / 3 days to complete correctly, giving your vehicle the best start. Wheels are fully cleaned, removing brake dust and any tar spots. Entire vehicle exterior pre-washed to remove soiling prior to contact wash.
Vehicle washed with high quality car shampoo. Tar spots / contamination removed from paintwork. Entire vehicle clay barred to remove bonded contamination, creating s super smooth paintwork surface. Vehicle air dried to remove trapped water. Vehicle polished to create a high gloss finish ready for the application of the ceramic coating of choice. Ceramic Coating applied to paintwork, exterior plastics, wheels and glass. ​Exhaust tail pipes polished and ceramic coated. Tyres and trims restored to enhance finish. Below are the 3 DASCOAT Ceramic Coating treatments that DMD Detailing provide. DASCOAT 9H SLD Ceramic Coating treatment represents the ultimate level in terms of ceramic treatment due to its exceptional paint protection and durability. DASCOAT 9H SLD is an extremely durable and glossy ceramic coating which has a 9H plus hardness level which provides the ultimate in scratch resistance over standard paintwork finishes protecting against micro-scratches. DASCOAT 9H SLD ceramic coating also has a temperature resistance of up to 750 Degrees Celsius and also provides a great resistance against harsh chemicals, oxidation and corrosion, protecting your car for many years. Guarantee is given for 5 years or 50,000 miles. ​Ceramic Coating New Car Price List - This package is ideally suited for brand new or vehicles with less than a 1000 miles on the clock that don't require paint correction prior to ceramic paint protection application. Small Cars £545 - Citroen C1, Smart Car, Audi A1, Toyota Aygo, Ford KA, Toyota QI, Fiat 500, Vauxhall Corsa, Ford Fiesta, Renault Clio. DASCOAT 7H XI-FOR Ceramic Coating provides an extremely durable coating which protects the painted surfaces for about 3 years from scratches, acid rain, bird droppings, road grime, tar, and harmful UV radiation. The DASCOAT 7H XI-FOR ceramic coating offers excellent depth of gloss and stunning looks compared to other paintwork protection products such as car wax and polymer paint sealants. Superb water repellency abilities and durability of up to 3 years on correctly prepared paintwork. Improved scratch resistance over standard paintwork finishes once the ceramic coating is applied and left to cure. Small Cars £395 - Citroen C1, Smart Car, Audi A1, Toyota Aygo, Ford KA, Toyota QI, Fiat 500, Vauxhall Corsa, Ford Fiesta, Renault Clio. DASCOAT 7H X-FOR provides effective protection of the external surfaces of your vehicle against any form of damage. 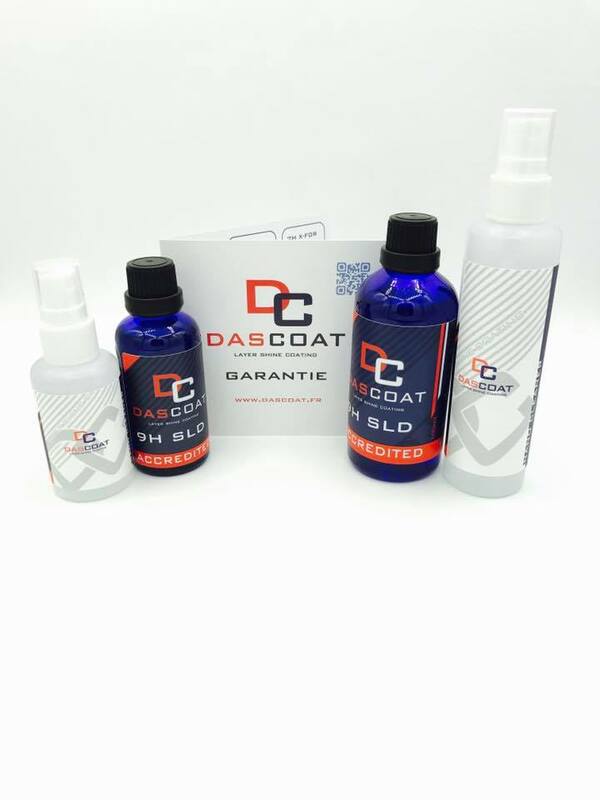 Once coated DASCOAT 7H X-FOR provides an extremely durable coat of glass which protects the painted surfaces for about 2 years from scratches, acid rain, bird droppings, road grime, tar, and harmful UV radiation. Small Cars £295 - Citroen C1, Smart Car, Audi A1, Toyota Aygo, Ford KA, Toyota QI, Fiat 500, Vauxhall Corsa, Ford Fiesta, Renault Clio. These packages are ideally suited for used or pre owned cars that are new to your ownership with more than a 1000 miles on the clock that do require paint correction prior to ceramic paint protection application. Small Cars £600 - Citroen C1, Smart Car, Audi A1, Toyota Aygo, Ford KA, Toyota QI, Fiat 500, Vauxhall Corsa, Ford Fiesta, Renault Clio. Small Cars £450 - Citroen C1, Smart Car, Audi A1, Toyota Aygo, Ford KA, Toyota QI, Fiat 500, Vauxhall Corsa, Ford Fiesta, Renault Clio. Small Cars £350 - Citroen C1, Smart Car, Audi A1, Toyota Aygo, Ford KA, Toyota QI, Fiat 500, Vauxhall Corsa, Ford Fiesta, Renault Clio.